any situation you are dealing with. It is a powerful tool to work through any situation. You can achieve lasting results by thoroughly exploring the roots of an issue. 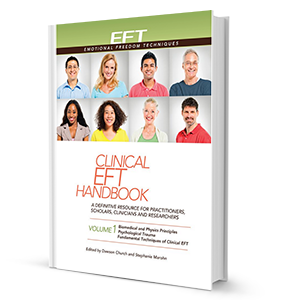 This short 20-minute session from a recent workshop illustrates the effectiveness of approaching an issue using the EFT clinical techniques that you can learn in the workshops. 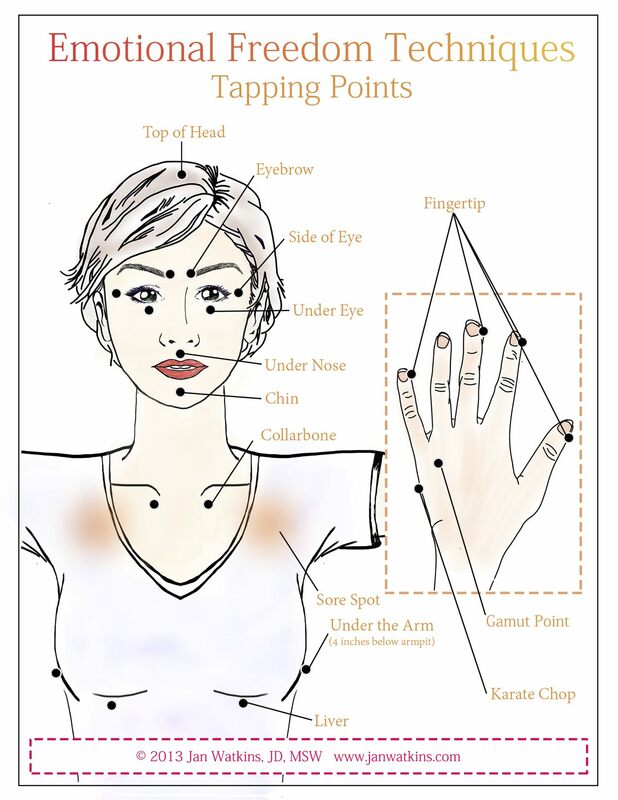 * The EFT techniques used are bulleted and indicated parenthetically. “Susan,” not her real name, volunteered to work on her insomnia. Susan explained that she regularly woke in the middle of the night. She would take the first thought or concern that came to her mind and imagine how that thought or concern could develop into the worst possible outcome. 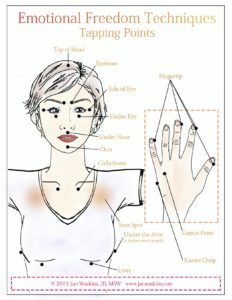 I had her locate in her body exactly how this felt and asked her to describe the pain vividly (specificity, using physical symptoms to address emotional issues). She immediately felt pressure in her chest. She described it as a fist-sized, dense, sharp, blue pain. Susan rated the sensation at an 8 out of 10 (SUDS). After a round or two of tapping, she recalled a seemingly random memory of a sporting accident. She reported about the accident, “I didn’t do what I knew how to do.” For the next round we tapped on, “Even though I didn’t do what I knew how to do, I deeply and completely love and accept myself” (exact words). We tapped on the child’s emotions until she imagined the child was OK and walked away from the door to her parents’ room (using intuition, client-centered process, specific core events). Sometimes it is helpful to have the client verbalize true statements that the child was unaware of such as, “that’s over, you’re ok now, you have more resources, you don’t have to stay there to solve that problem.” You can use your intuition to guide the session. These memories represent the experiences that our early developing brain generalizes for survival purposes. Our brain will form conclusions, such as, “I can’t take care of myself” (table legs, table tops). Until this limiting learning is updated, the brain will continue to operate under that program. I then asked Susan to locate the dense sharp pain in her chest. She rated it at a 4. We returned our focus to the physical sensation until it was a zero (testing and aspects). We finished our short demonstration there. Not all sessions work in this way or this quickly. It is important to be inquisitive and to remember that the client generally has what he or she needs to work through an issue (client-centered process). If you are working on yourself, use these same principles for great results.